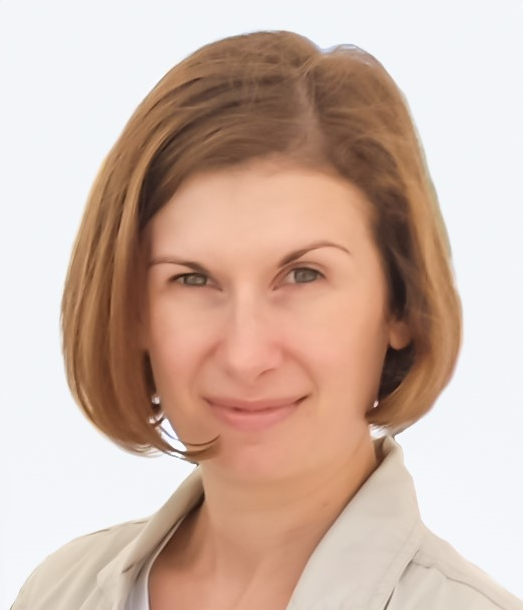 Svitlana Krys is Assistant Professor of English and Kule Chair in Ukrainian Studies at MacEwan University (Edmonton, AB). Her main area of expertise is comparative literature—an angle from which she aims to examine the current cultural reforms in Ukraine, particularly, as they touch upon the literary sphere and help facilitate Ukraine’s course toward integration into the European Union. Her research focuses on the development of the Gothic genre in Ukrainian literature, and she is presently working on a book manuscript, tentatively titled “At the Origins of the Ukrainian Gothic,” in which she examines Ukraine as an organic part of a pan-European cultural and intellectual community. The goal of her manuscript is to trace how Ukrainian authors imported and modified the Gothic genre, adjusting it to the cultural and socio-political needs of their time, thereby not only producing a new cultural movement within a Ukrainian literary canon, but also adding to the diverse nature of the West European Gothic discourse. For the past ten years, Svitlana has worked with Canadian Slavonic Papers at the University of Alberta, and she currently serves on the editorial board of East/West: Journal of Ukrainian Studies and on the Executive Committee of the Canadian Association of Slavists. She is the author of articles published in Canadian-American Slavic Studies, Canadian Review of Comparative Literature, Canadian Slavonic Papers, Slavic and East European Journal, and Slovo i chas [Word and Time], the Ukrainian Academy of Sciences’ journal of literary studies. Her scholarship has been recognized by the American Association for Ukrainian Studies. In this project, Svitlana focuses on the set of policy reforms in the area of culture, promised by the Ukrainian government, and the responses of Ukrainian literary activists, who act as both the initiators and recipients of such program of reforms; the new, post-Euromaidan view on culture and its place in society that these reforms articulate, and the impact such reforms may have on Ukraine’s course toward integration into the European Union and on its visibility internationally (more specifically, Ukraine’s impact on and presence in the global literary market). In the area of culture, the strategic plan, produced by the Ministry of Culture of Ukraine in spring of 2015, has led to some vivid public discussion. For instance, a recently established NGO “Reanimation Package of Reforms” stresses the need to move away from an ideologically or otherwise biased paradigm of culture to a more inclusive one, consistent with that of the European Union. The new model should focus on the central role of culture in society and its ability, among others, to lead to conflict prevention—a topic of utmost importance to Ukraine today—because of culture’s potential to develop broad, complex, critical thinking. The activists of “Reanimation Package of Reforms” also call for the need to encompass the diversity of cultures and traditions of minority groups in Ukraine (“Culture,” Reanimation Package of Reforms: <http://www.rpr.org.ua/en/groups-rpr/culture>). Adding to this discussion, Svitlana’s study examines those policy reforms in the area of culture that touch upon the literary sphere. Primarily, her aim is to investigate the nature of the current reforms and a discussion surrounding them among Ukrainian literary activists. What are their reactions to reforms? Are they acting merely as recipients or initiators of reforms? Furthermore, she would like to examine how these reforms may help promote Ukraine’s visibility internationally, which is one of the goals of the Ministry of Culture of Ukraine (as seen in the proposal for the creation of Taras Shevchenko Ukrainian Institute: “Ukrains’kyi Instytut Tarasa Shevchenka” [Taras Shevchenko Ukrainian Institute], The Official Web-Site of the Ministry of Culture of Ukraine: <http://195.78.68.75/mincult/uk/publish/category/426312>). Are there funds for translation, and, if so, what is being translated? Which authors, works, genres, themes are given priority? Are there funds and support for new authors? More importantly, are the Ukrainian authors present on the global literary market and what is their impact? Does it have the potential to increase, thanks to the reforms? Finally, Svitlana would like to see whether the process of democratic reforms becomes reflected in the contemporary fiction of post-Euromaidan Ukraine. Since literature is often viewed as a medium for expressing social anxieties, the theme of reforms in fiction gains even more significance as it may help lead to a more nuanced public view on the reforms. Svitlana also believes that in future, other areas of culture that are undergoing reforms would be worthy of examination including film, music, fine arts, and museums.